Updated on Monday, August 27, 2018. Julie MacMillan, the lead negotiator for the University of Vermont Medical Center nurses, stepped down from that role Friday, saying union leaders asked her to resign. MacMillan announced her decision in a public post on Facebook. MacMillan sat at the bargaining table with hospital administrators throughout lengthy negotiations since July, when the nurses went on strike for 48 hours. They have since been working without a contract. After the hospital's August 18 offer of a 15 percent pay increase over three years, she "felt that we had not only made great strides, but had potentially reached a compromise," she wrote in the post. "Unfortunately, several members of Union leadership do not agree and they feel that my ideals no longer fit with the mission of the Union and I have been asked to resign." The announcement comes after several marathon bargaining sessions last week, during which the hospital and nurses did not reach an agreement. Nurses continue to ask for a 22 percent wage increase over three years and increased staffing. 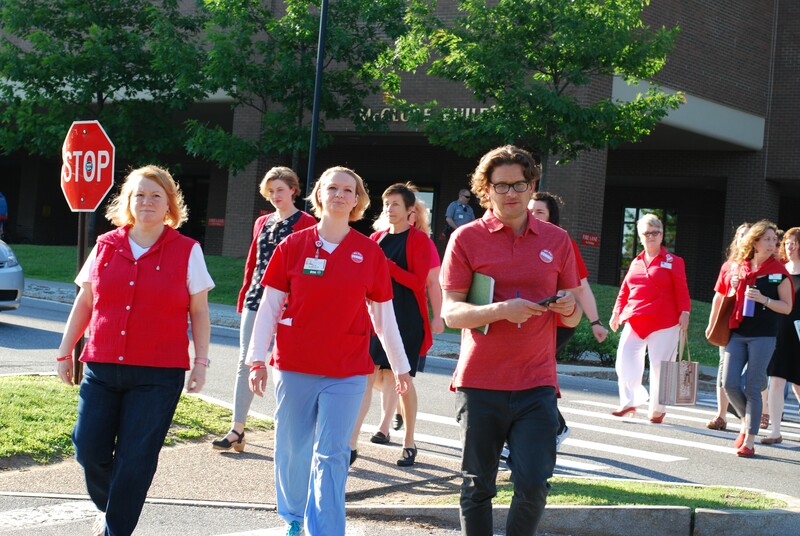 The union protested on Wednesday outside City Hall in Burlington, as medical center CEO and president John Brumsted presented the hospital's 2019 budget to the Green Mountain Care Board. MacMillan pledged her ongoing "personal support" for the union. In a statement Saturday, the union offered "thanks and gratitude" to MacMillan for her "hard work and dedication" over the previous eight months. “Julie's guidance and leadership has been instrumental to our success thus far and we hope she will be a part of our future," union president Laurie Aunchman said. MacMillan did not respond to requests for comment.